A long time ago, in the faraway town of Bethlingham, roved a band of merry men, led by the fearless Robin Good. Their mission: to help people by fundraising from the rich and giving to the poor! But when a greedy Prince starts stealing the townspeople’s hams, donations are down and Robin’s friends take off and decide to give robbing from the rich a try. Feeling rejected, Robin thinks things can't get any worse, until he finds out that the ham-hoarding Prince has also captured his friends. Can Robin overcome his own hurt, rescue his friends and restore the townspeople's hope? 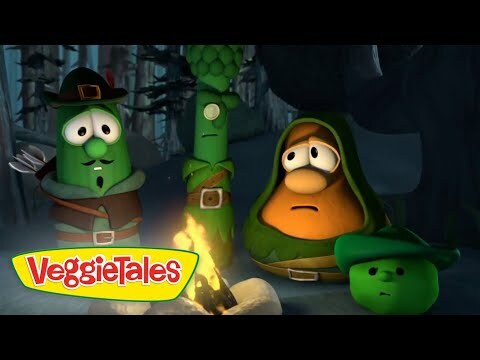 Find out in this fun Veggie story where kids learn that there's no hurt too big for God! Bonus Show: Lenny and the Lost Birthday --Will someone, anyone, remember Lenny’s special day? How could it be misplaced – or is it just his mistake? !